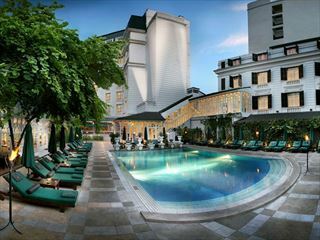 The Pan Pacific Hanoi Hotel, formerly the Sofitel Plaza, is a luxurious choice for a stay in Hanoi. An excellent location, good choice of rooms and fantastic customer service all adds up to a superb base from where to get to know the lakes, monuments and museums which are all just a stroll away from the entrance to the this hotel. Aside from the classic colonial ambience and wonderful attention to detail, you'll discover numerous means of relaxing and unwinding after a good day spent sightseeing in Hanoi. Fitness suites, massage rooms and a heated indoor swimming pool are all perfect for easing into the evening and with a couple of restaurants and one of the city's finest rooftop bars, you're bound to be rested and ready to do it all again tomorrow. Situated within the heart of Hanoi's French quarter within walking distance of all the major sights and government offices with Hanoi train station just over three miles away. Hanoi Noi Bai International Airport is around 20 miles from the hotel's front door. Luxury Rooms – classic colonial décor with a choice of signature king-size bed or two signature single beds as well as stylish bathrooms, some with separate bath and shower, and views over the lake or the city. 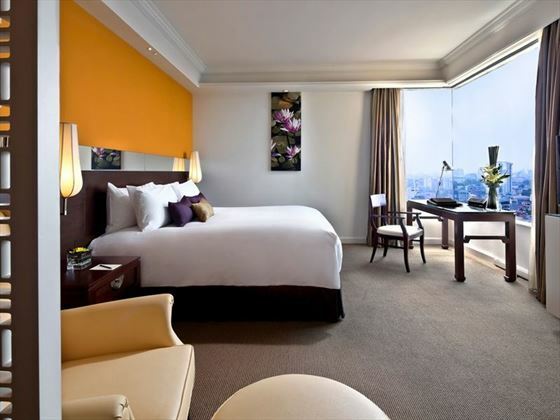 Luxury Club Sofitel Rooms – same size and style as Luxury Rooms with the added benefits of Club Sofitel, which include*: late check out service, daily laundry services an hour's access to the board room. Junior Suites – larger than Luxury Rooms with connecting bath and living room as well as one king-size bed and access to Club Sofitel* services. Ming Restaurant – Chinese cuisine and an authentic Asian ambience for lunch and evening meals. Brasserie Westlake – Asian and international buffet and a la carte menus for all day dining. 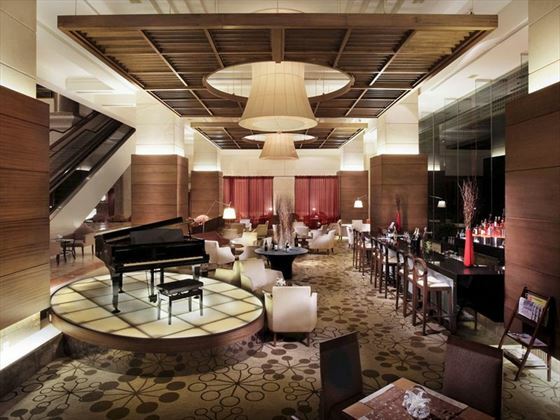 Song Hong Bar – stylish and sophisticated lobby lounge and bar for drinks and conversation accompanied by live piano music. Summit Lounge – boasting the best views in Hanoi for cocktails, drinks and sunsets on the roof. Jacuzzi, sauna and massages within the hotel's spa and well being suite. 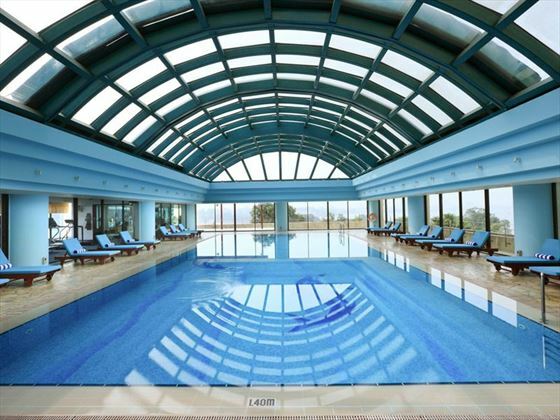 Heated indoor swimming pool with retractable glass roof. 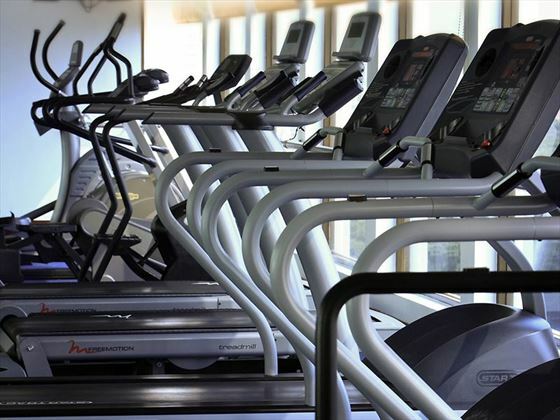 Fitness centre with choice of training equipment as well as regular Yoga, Pilates and aerobics sessions. Set in the heart of Hanoi, Hotel De L'Opera M Gallery is immersed in the cultural beauty and renowned attractions of this vibrant and historic area - a must for those seeking to soak up the culture of this fascinating city. 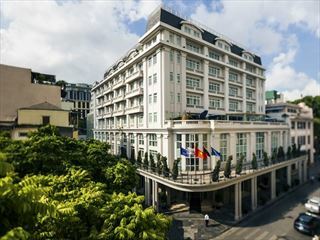 Designed is elegant French colonial style, Sofitel Legend Metropole sits at the heart of Vietnam's capital city. 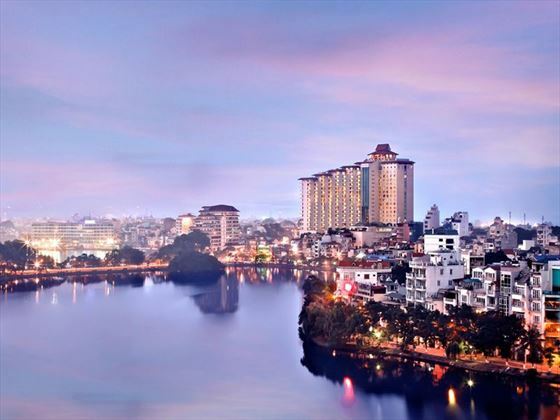 Use it as a base to explore the amazing sights of Hanoi with comfortable accommodation to return to. 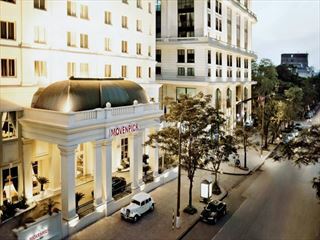 Moments from the city centre, Movenpick Hanoi is surrounded by culture, bustling markets and fantastic attractions. 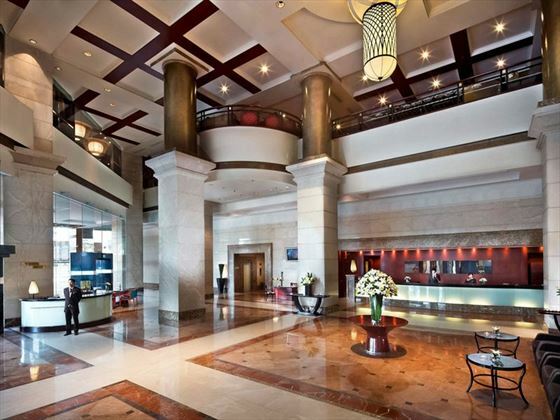 This welcoming hotel is a sophisticated base for your Vietnamese city experience.